Heat a dash of oil in a large saucepan and add the onion, celery and green capsicum. 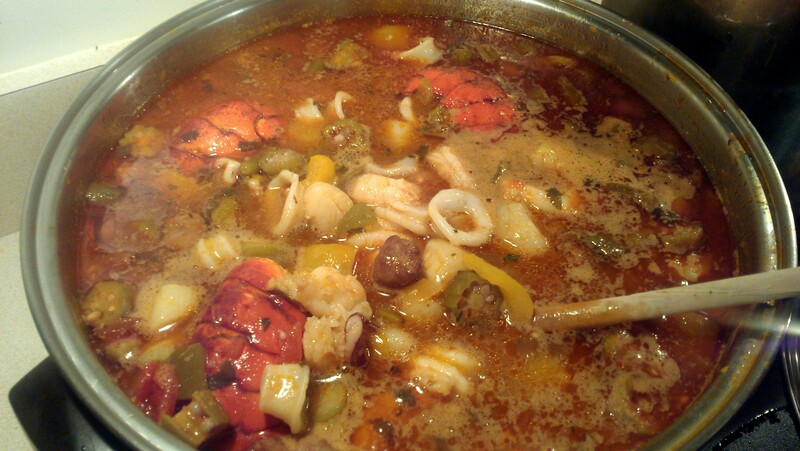 Cook over a moderate heat, stirring frequently until the vegetables are soft but not browned. 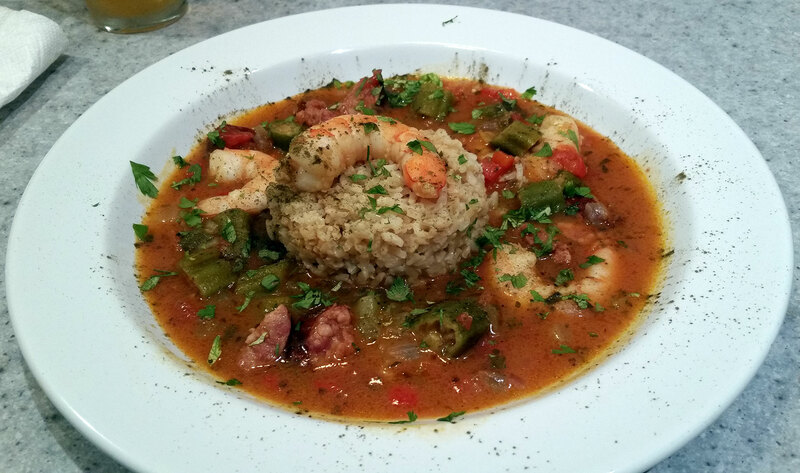 The Seafood Gumbo: Prepare the vegetables & seafood and reserve them as needed. Take a large pot and sauté the vegetables in olive oil until they are soft.